Live Hip Hop w/ Glasper, Lupe, Mos & Kanye! Most of yall don’t know about the Robert Glasper Experiment – the innovative jazz band, ?uestlove calls the “most dangerous band in the world”. 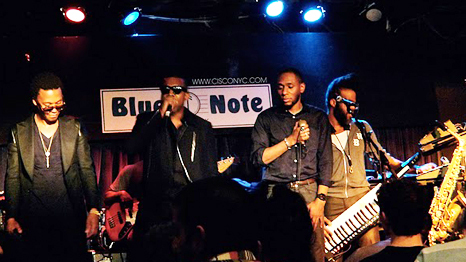 Check them out (via Crave Online) at the Blue Note with Lupe Fiasco, Mos Def and Kanye West. I’m telling you.. live Hip Hop is trending in 2011! Shouts to Meghan over at Revivalist for putting this on my radar. One Response to Live Hip Hop w/ Glasper, Lupe, Mos & Kanye! Holy Crap, my mind is officially blown. You can’t let a brother like Glasper just go about experimenting. This is mad science and a lot of rappers are going to get hurt bad.